ACE vs ACSM - Let's Find Out which is Better For You in 2019! 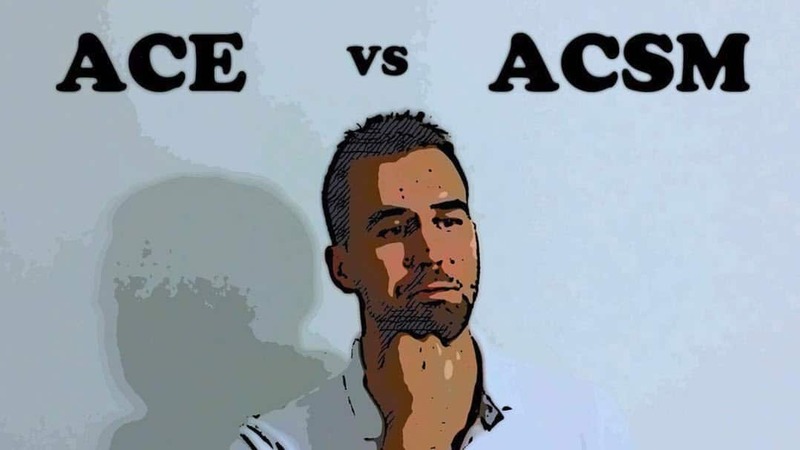 ACSM vs ACE – Let’s Find Out which is Better For You in 2019! ACSM and ACE are two of the top personal training certifications in the industry. It can be a tough choice between the two. By the end of this article, you will know the differences between the two certifications as well as have a firm idea of which one you should choose. Make sure to leave a comment with any questions! After reading this article, I recommend 110% reading my ultimate breakdown on the top five certifications as well. If you like VS articles I also suggest checking out ACE vs NASM, ACE vs ISSA and ACSM vs NASM. I also recommend that you Take the quiz to find out which PT certification is bet fit for you to obtain. ACSM is more of a corrective exercise certification, whereas the ACE certification is considered more of a general CPT. ACSM offers different study materials that you can pick and choose from while ACE has three primary packages that consist of different study materials in each one. 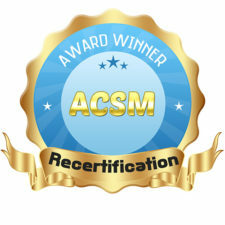 Both ACSM and ACE are accredited by the NCCA. Currently, the ACE certification costs $599 whereas the ACSM certification costs approximately $500 for nonmembers. ACE has an overall pass rate of 65% while the ACSM certification has a very low pass rate at 54% for first-time test-takers. PTpioneer is dedicated to helping you on your journey. I recommend checking out my article on getting started as a personal trainer; the time it takes to become a trainer and what type of money to expect from a career in training. ACSM has a greater focus on personal training for rehabilitation or muscular imbalances that are caused by injuries. This includes instruction on performing a detailed screening and fitness test. This allows you to analyze what people are capable of performing regarding physical motions and the exercises to be applied to correct these limitations. This screening and correction process is very similar to the one provided within the NASM certification. I am assuming that you are at the very beginning of your journey into the personal training industry. Although the stabilization and corrective exercise process of personal training is extremely important, I do believe the NASM certification with their OPT training model is better for the style of training. ACE is an excellent certification for beginners as it covers all the basics and fundamentals of personal training. Their model (called the IFT model) will allow you to create routines for a variety of individuals and their specific needs. As a beginner, it may be difficult at first to design your programs for particular individuals, but this certification will allow you to do that with ease, effectiveness and in a safe manner. The majority of the programs they outline for you are aimed at the traditional American who is overweight. I believe that this is a good thing as the majority of your clients will be the average overweight American. If you are planning on working at a commercial gymnasium like most personal trainers that start out are, this is one of the best certifications you can have. 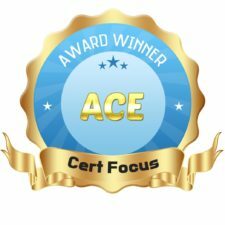 ACE wins for the focus section due to the fact that you are able to train a wider variety of clients with their IFT training model. The ACSM certification is one of the oldest personal training organizations in the industry. It has been highly recognized as a go-to certification for multiple decades now. I have never heard of a personal training employer rejecting this highly recognized certification. The certification is accredited by the NCCA which is the highest recognized accreditation agency as well. Currently, the ACE certification is one of the most talked about certifications in the industry. Just like the ACSM certification, there is literally nobody that has heard of it. It is one of the preferred certifications for large corporate gymnasium such as anytime fitness, crunch fitness or 24-hour fitness. Correctly from the ACE website, they claim they have certified over 75,000 individuals with their CPT certification. Below is an image comparing the ACSM certification and the ACE certification on Google trends. This basically displays how many people are searching for the certification. As he can see the ACE certification beats out the ACSM certification with practically twice as many people are searching for information on it. The ACSM certification has two primary textbooks that are provided to you when you sign up for their program. It should also be known there is an option to buy an additional third book that provides an overview of what will be on the test for an extra $40. If you decide that this is the correct certification for you, I recommend you spend the extra $40 and purchase the third book as you will find it to be beneficial due to its inclusion of practice exams. The larger of the two textbooks focus on the fundamentals and techniques of personal training which will cost you approximately $70. The second book primarily focuses on the screening/fitness tests and solutions to address the problems that were diagnosed. This book indeed provides in-depth knowledge of how to help people with disabilities or other populations with special needs. ACSM also offers a workshop for $375 that consists of three days of instruction in preparation for the exam as well as a single day workshop for $129. The exam fee will differ depending on whether you are a member of ACSM. The price for nonmembers is $279 in contrast to $219 for members. The total costs including both the exam costs as the textbooks come out to around $440 for nonmembers. If you do not want to mini study materials you’ll end up paying approximately $440. On the other hand, if you want enough study materials to feel confident in taking the test you will more likely be spending approximately $750. This is especially true with ACSM due to the fact that the test is very difficult. Check out the current price is here. With ACE there are three separate packages that are available to choose from. Each package includes slightly different study materials and has slightly different prices. The cheapest option is the Pro essentials package at $599. The next packages the Pro plus package at $699. The most expensive package is the Pro advantage package at $799. Since prices change from time to time, check out the current price is here. The Pro essentials package comes with an e-book primary textbook, practice tests, the textbook study manual in e-book format, a fitness professionals e-book, access to the ACE Academy elite, access to ACE study coaches and access to additional personal training resources. The Pro plus package includes all the stuff that the Pro essentials package did except you get a hard copy of the textbook, a study guide, and the fitness professionals book. If you are like me and like a hard copy of the textbook to study from, this is the package you should choose. The Pro advantage package includes everything that the two previous packages did with the addition of a fitness math online course. This is helpful for difficult to understand concepts such as how to calculate VO2 maximum, body composition, and energy expenditures. The most helpful study materials for me was definitely the ACE Academy as well as having direct access to ACE fitness professionals in case you need to ask questions. Overall for the price, ACE offers much more helpful and interactive study materials. Having access to ACE elite as well as ACE fitness professionals makes all the difference in the world. 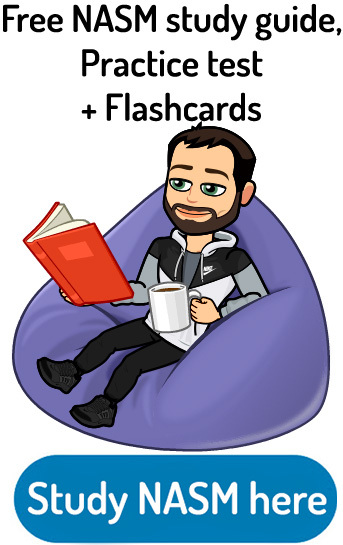 Here’s a link to my free and awesome ACE study guide. 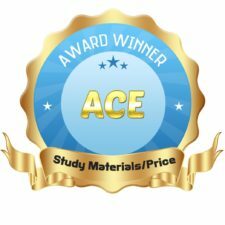 The winner for study materials/price is ACE. The consensus is that this exam is harder to pass relative to the ACE certification. In fact, it has the lowest passing rate out of all the personal training certifications on the market with only 54% of test takers passing on the first try. 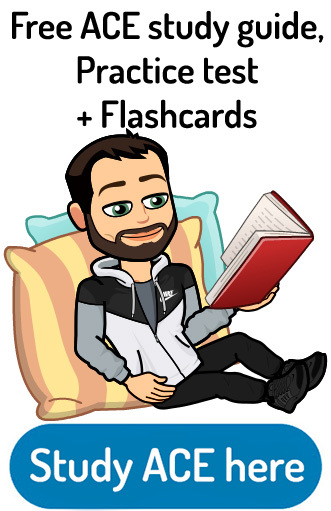 This may indeed be due to the reason that they only provide textbooks instead of the array of additional study materials that ACE delivers including flashcards, videos, etc. The ACSM exam consists of 120 multiple-choice questions with 30 being and scored questions for research purposes only. ACSM grades on a sliding scale from 200 to 800 points. You will need to score 550 in order to pass the test. You are given 2.5 hours to answer all 120 multiple-choice questions. In order to take the test, you will need to set a test date at a Pearson VUE test taking facility. There are over 5000 locations in total. If you end up failing the test the first time around you will need to pay $150 in order to retake it for your second try. The cost for recertification with ACSM is the lowest in the industry at only $30. You also only need to recertify every three years with this certification. In order to recertify you need to show proof of 45 hours of continuing education credit. I highly recommend you check out my article that provides greater detail about the ACSM certification. If you want more information on ACSM, you should check out the full review here. The pass rate for ACE is approximately 10% higher than that of ACSM sitting at around 65%. The test is also multiple-choice only and contains 150 questions in total. Just like ACSM, the exam is graded on a sliding scale and you need to score 500 points which equal answering approximately 90 out of the 150 questions correctly. From the day that you purchase your study package, you will have six months in order to sign up for the test as well as take it. During the test, you will have three full hours in order to answer all 150 questions. It in case you do not pass on your first time around, a steep $199 retest fee will be required in order to take it again. In order to get recertified with the American Council on exercise, you will need to pay $139 and show proof of approximately 20 hours of continuing education. This process will need to be completed every two years in order to stay certified with ACE. ACSM has a lower retest fee, cheaper recertification costs and you only need to recertify once every three years. These factors make up the winner for this section. Test your knowledge with my free ACE practice test here. Based on my assessment and comparison of these two certifications I would recommend that you get certified through ACE if you expect to be training clients that are of the general population in which their primary goals are to shed weight and build muscle. Their IFT fitness model provides you with the required knowledge to help people with a variety of needs to achieve their goals. The overall winner for this comparison is ACE! I recommend that you Take the quiz to find out which certification is best for you if you’re still racking your brain. Check out my ACE study guide/practice test here to get you on your way with learning. If you would like to see this comparison in video format, here is the video I created approximately 3 years ago on the topic! I also believe ACE provides a superior knowledge of the fundamentals of exercise science for beginners. I highly encourage you to check out all of the packages that they offer to see which one is the best for you. ACSM is pretty technical and can be especially difficult for people who don’t already have a solid foundation of exercise science. Check out the ACE site here! Here is a link to ACSM! They also lack solid weight training instructions relative to other certifications. But if you’re looking for the certification that is more clinically focused and have aspirations to help clients of particular populations or muscular imbalances due to injuries, this may be the certification for you. If this is the kind of training you are interested in, I also recommend that you check out ISSA, NASM, and NSCA, as these certifications also provide a wealth of knowledge and instruction on how to train individuals with disabilities and other special needs. 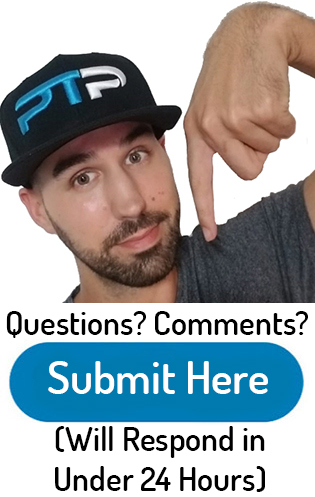 I also recommend you check out some other articles of mine to help you understand the steps necessary to becoming a personal trainer and the potential money one can make! 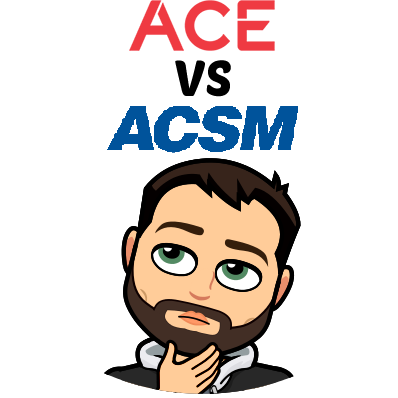 I hope the above information I provided in my ACE vs ACSM article was helpful and will help guide you in making the best choice for you. I will have to give the trophy to ACE because they have much better study materials (check them out here!) and they are also highly recognized within the industry. 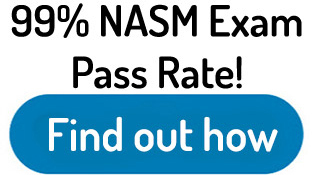 Another certification that I recommend that you check out is the NASM certification (I have a review on them here). ACE and NASM are my top two certifications as of right now. 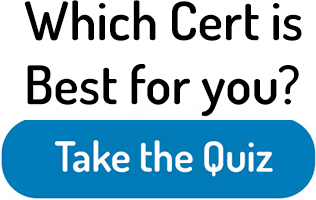 You should now check out the certifying agencies websites for more information on which certification would be the best for you. Here are some additional ACE comparison articles that you may enjoy: ACE versus NASM, ACE vs ISSA and ACE vs NSCA. Here are some other ACSM comparison articles that may be helpful as well: ACSM vs NASM, ACSM vs NSCA and ACSM vs ISSA. Please let me know if you have any questions or comments by typing them in the comment box below. Also if this article is helpful please share it with your friends or on social media using one of the buttons on the site. Thank you and happy personal training! I’m an ACE CPT & CHC. Do you think the ACE material will helpful for me to do ÁCM CPT exam? I’m also looking for a Corrective Exercise Certificate, ACSM CPT can be an option or I should choose from another as Issa, nasm,..
ISSA as they are specialized certifications.